Organic chili peppers, or specialty peppers, accounted for a very small percentage of organic produce sales, and organic makes up well under 1% of category sales. However, they are a great way to round out your organic pepper category and appeal to discerning cooks who are willing to pay a bit more for their produce. For more information on variety characteristics, visit our conventional chili peppers page. Promote the health benefits of chili peppers and remind consumers that organic chili peppers are an environmentally conscious choice. 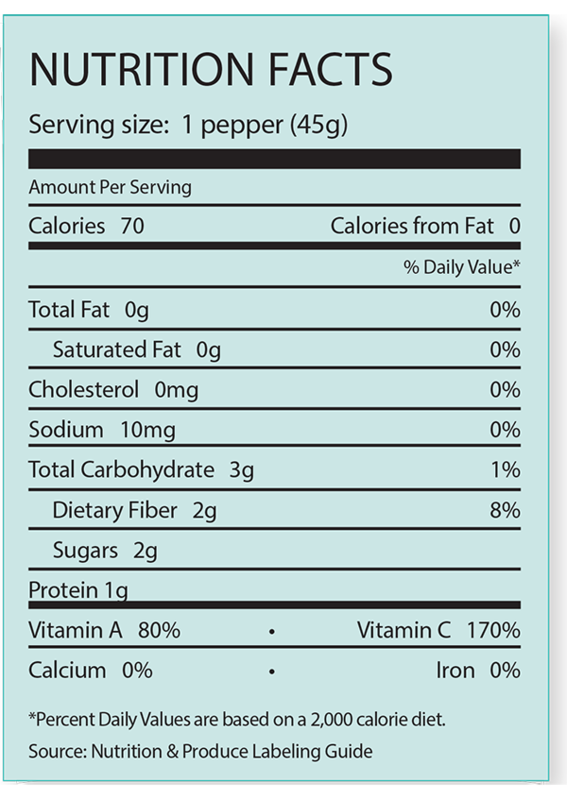 Include organic chili peppers in promotions with organic salsa ingredients. Create a taco promotion that includes all organic options for the ingredients. This is a promotion that will work well around Cinco de Mayo. Don’t forget to include organic chili peppers in football game day marketing strategies. They are a great way to spice up homemade dips. Include organic chili peppers in summertime grilling promotions along with recipes for meat marinades that include chili peppers. Cross-promote them with organic meat. A variety of chili peppers are available as organic, so offer a variety of options, including jalapeno, Anaheim, padron, poblano and serrano peppers. Display them in their own area near organic bell peppers to create a larger organic pepper display. Consider offering both bagged and bulk product to appeal to consumers who are on the go as well as those who want to choose their own. Organic jalapeno and Anaheim peppers are available in a variety of packaging sizes, including custom packs. Most other special peppers are often available in 10-pound cartons. Avoid well-ventilated areas, which can shrivel chili peppers. For fresh chili peppers, encourage consumers to wrap product in plastic and store in the vegetable bin of the refrigerator. 13% of consumers who said they purchased specialty peppers said they exclusively purchased organic specialty peppers. Another 17% of shoppers who bought specialty peppers said they purchased both conventional and organic specialty peppers.